Basically, I arrived in Rome, dropped off my stuff at the apartment, and hit the Castel Romani outlets. Not much in means of perfume, but I did find the Pharrell Adidas (yellow with red polka dots) for 30 Euros, which is a steal compared to US prices. Picked up a blue camo bag to satiate my desire for the Valentino color camo, as well as one moderately tame long sleeve shirt at Desigual. When I got back to City Center, I beelined to Amouage before they closed to sniff the new-ish Sunshine Man. Sweet lavender that dries down to something nice- but not life-shatteringly amazing. U.S. Retail is $395 – their price 350 Euros – with the great exchange rate and VAT refund it is a little bit cheaper, but not worth splurging on. Set my alarm at 8am and slept in until 12pm. I woke up and decided on my itinerary for the day. I figured it would make most sense to go to the most faraway place and work myself back to home. 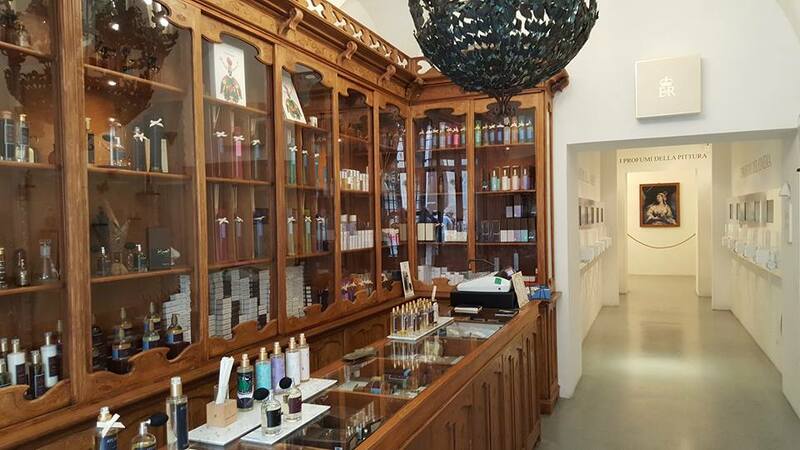 First stop – Roma Store (Via Della Lungaretta 63). Since it was more than 2km away, I figured the bus would be the quickest route. I was wrong. The 81 bus that is supposed to come every 12 minutes took more than 45 more minutes to arrive. Just a note, Italian people on the bus are so friendly… not! There is no respect for elderly or nuns. I saw an elderly nun standing while two teenagers were in handicapped seat. That and the pushing and shoving made the bus a less than pleasant experience. I got out and it took about 20 minutes to go the 6 minute distance. Finding the exact side road was a challenge, but once I did it was worth it. 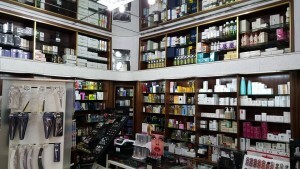 Roma Store is chock full of niche from all around the world. As I am hitting Paris and London, I asked specifically for local stuff that doesn’t get exported. Surprisingly, most of the Italian stuff does export and he showed me that Nobile line and two others that I don’t remember. The Nobile line had a few nice ones on first sniff, but nothing that really caught my attention. What did catch my attention was Map of the Heart, which I had never seen before. Number 2 Black Heart is a dark, evil smoke bomb with spices that just reverberate. I’ve been keeping Naomi Goodsir Bois D’ascese in the back of my mind but this one won my heart. Excuse the evil pun as I made my first purchase of the day. For my next stop, I figured that I would try Uber. Unlike last year, when uber was cost effective and plentiful, it is now locked down to Black Cars, vans and tours. The estimate for the black car was 14 euros, so I figured I would try it. Minor complaint, the Car doesn’t come to you – it comes close to you and you have to walk to it. That aside, it was a nice ride and I was taken to Profumeria dei Serpenti (Via dei Serpenti, 180). This place was quaint and hilarious. 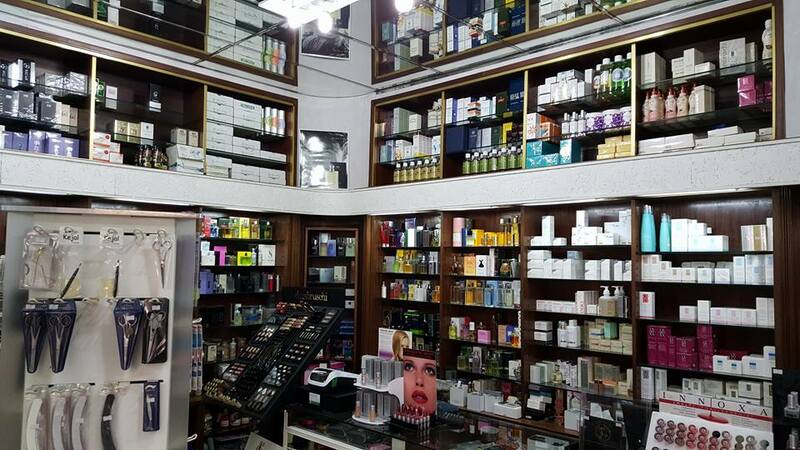 While it had some Guerlain, Taylor Bond Street, and others that I recognized, it was full of novelties and Italian brands that made me think it was drug store/Walgreens quality stuff. The sales associate (probably the owner) was confused when I reached for a bottle and I got the idea that this was like the Hotel Costes with a Soup Nazi – “don’t touch the bottles” rule. I played along and he asked if I want “for you or for your woman.” Holding in my laughter was a challenge. 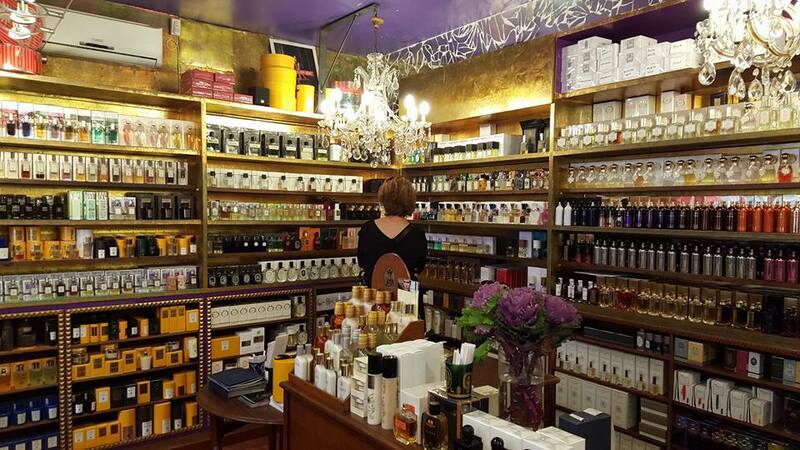 We went through about 20 male scents and I started pointing out other random stuff. Marterosso Battistoni was a full-bodied masculine that was of “niche-quality.” For a friend, I picked up Breve Cocco & Mandorla because she likes nutty/coconut scents. Walking out with two bottles for under 45 euros seemed like Christmas. I noticed on the same street there was another perfume store – so I stopped into De Paolo Profumeria. It was full of the normal designers you see everywhere. 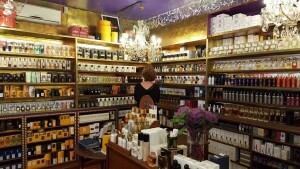 Acqui di Parma is at EVERY store in Rome. There was one British scent that caught my nose- Washington Tremlett Royals Heroes 1805. It didn’t move me to buy especially for the price. 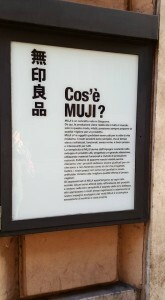 I am thinking that I will find it cheaper in London. At this point, I walked everywhere else. My next stop was Laura Tonatto (Piazza di Pietra 41), an Italian niche line that i had never seen before. 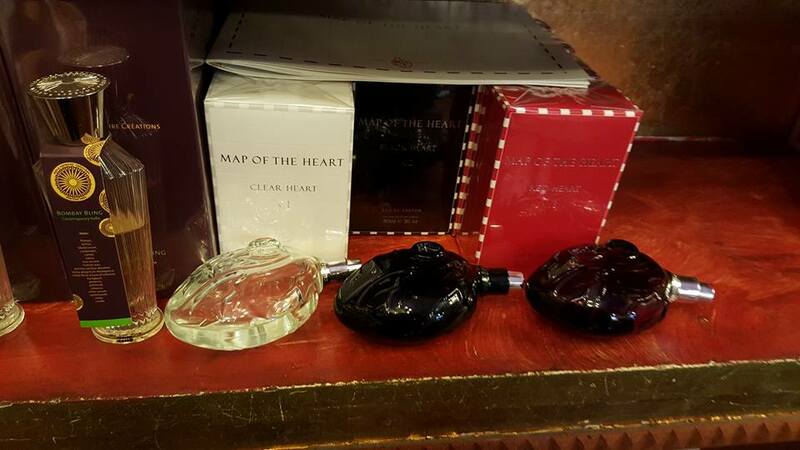 The scents are quite good and would cost twice as much if they were in distribution. The sales associate was charming, cute, and very helpful. I realized the nose logo was the initials and he laughed. We smelled everything in the store and I had to keep narrowing it down. I ended up with Albi, a unique mix of lavender and black pepper that I had never experienced before. It was aggressive and itchy at first but not cloying, and it was definitely an energizing scent. Magnifico is a figgy citrus that I knew I would eventually split with Victoria. I got those two full-sized – 100 ml – and since they were in discontinued old packaging, I got 30% off. 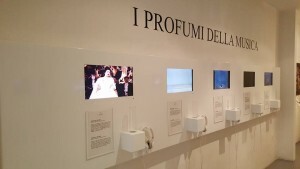 Of special interest the store are visual installations where they have made scents to match songs, movies, and religious moments. That is worth checking out as much as their scents are. A bonus of walking everywhere is that you get to see the city and see other stores along the way. I saw a cute bow tie in the window at Unclean (a perfect little gift for Hiram Green who I am meeting in Amsterdam). I walked in and saw a pair of sickening shoes and then realized how great the store smelled. It reminded me of BaseWorld on SoBe that has a room scent they smell (it is called Sand and is like the best thing ever). I bought the shoes and the bow tie and realized they had the scent for sale at the counter. I asked how much it was and the clerk was like – this costs 35 euros – but I will give you the small one for free. A totally “grazie mille” moment. Further up the street, I saw Muji and had to stop in to pay homage to the store that created the vaporiser that I love as much as any other scented product in my life. They had essential oils for sale but I figured I can get those cheaper elsewhere. What they did have were amazing slippers that were soft, foamy, and fit my elephant feet. Well, size 10.5 must be elephantine to Japanese people because they were the XL (largest) size they had. They feel amazing. What y’all are going to be interested in is the new Croiserie collection from Pierre Guillaume. He has his intro line, his intermediate line- this is the line where he is letting his creative freak flag fly. 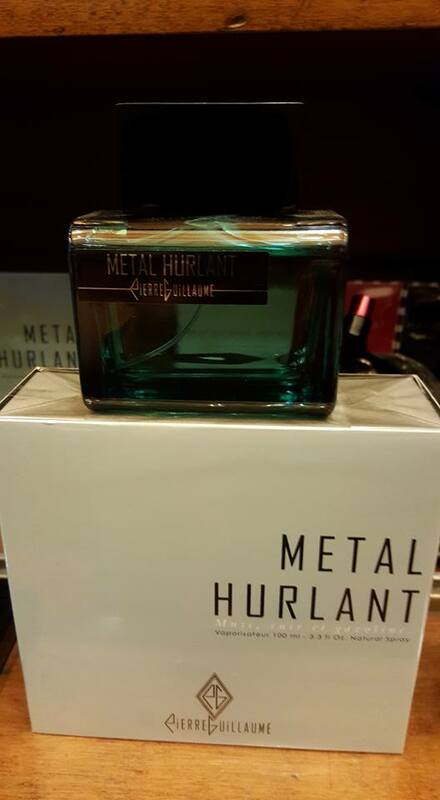 Metal Hurlant is metallic, motor oil, rubber, leather, and musk. This is the kind of strangeness that you would expect from an out there ElDo. I could never see myself wearing it, but it is one of those strange out there scents that we perfume nerds are going to be talking about. I will spend more time with the rest of the Crosier collection in Paris. I sniffed the new-ish Stephan Hubert Mortal Skin and it is pretty amazing. In my quest for Italian niches, I ended up buying scents that were Spanish (Oliver and Co M.O.U.S.S.E) and Turkish (Nishane Passion Choco). It was refreshing to walk out of the store with two niche scents for under 225 Euros. It was about this time that I realize that aside from a yogurt smoothie earlier in the day, I hadn’t eaten. Wow, it is amazing how good a 3 Euro bag of street chestnuts can taste when washed down with a bottle of water. You know that Camoflauge Color line that Valentino put out? I had to see it in person. I stopped in the store and yes, it looks amazing. I tried on the sweatshirt and as much as I love it – I could never spend 390 Euros on a t-shirt or 800 Euros on a sweatshirt. Yes, it’s evil, but I am hoping to find a knock-off while I am in the tacky areas of Paris next week. Up next is was Olfattorio which is kind of like a cross between Bath and Body Works and an uppity candle chain. Each scent is pretty basic and available in a multitude of variations – body oil, candle, room spray, edit, edp, etc. I was sucked into the amber crystals because I am a whore for all things amber and they will go nicely with my trio of L’artisan Amber balls. I picked up oil roll-ons in Ambra Nera and Mandorla which will make perfect gifts. Across the street was Campo Marzo (Via Vitttorio 52) which had all the expected international niches and a few Italian lines. If you haven’t seen the Alexandre J line, they are the most gaudiest colored metallic spray bottles with elaborate packaging. 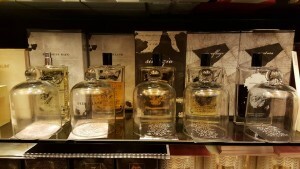 The scents are good – I bought Vanilla Oud last year – and it’s about a third as expensive as you would think. There was one expensive-looking Italian line which they had decorated with tacky metal flower sculptures. I smelled all five and I remembered one had a really disgusting name – that fit the mediocre scent. Apologies for forgetting the name of the line. I did see Masque Milano for the first time in person and tried all four. Wow, that’s a great line. I forgot which one I really liked – I think it was Tango. I will probably pick it up at Jovoy next week. At 170 Euros, that is a big discount over the $230 US retail. My last stop was Olfattorio (Via di Ripetta 34), and unfortunately,I got there at 7:35 when they close at 7:30. Peeking through the glass, it looked like they had a lot of the same international niche I had seen elsewhere. Someone mentioned there was a secret upstairs room. I guess I will that have to wait until my next visit. So that’s what I managed to get accomplished in just over six hours today. Next stop is Amsterdam for Amsterdam Dance Event, and aside from seeing Hiram Green and maybe the creator of Von Eusersdorff, I probably won’t be posting again until next week when I go to Paris.